(1) Intergroup relations and the political psychology of terrorism, with a particular emphasis on understanding the factors that cause people to support terrorist acts and groups. I am currently an investigator with the National Center for the Study of Terrorism and Responses to Terrorism at the University of Maryland (a U.S. Department of Homeland Security Center of Excellence). (2) Research on the effectiveness of music-based HIV prevention interventions among urban adolescents, which reflects a synthetic convergence of several areas of interest: Using music, social networks, and peer-based strategies. (3) Health Behavior and HIV Prevention. Regardless of specific content area, I feel that it is important to put social and health psychology principles to work where they may be of greatest benefit. The application of well-tested and well-grounded theoretical models has a great potential to address real world problems. Lemieux, A. F. (2008). 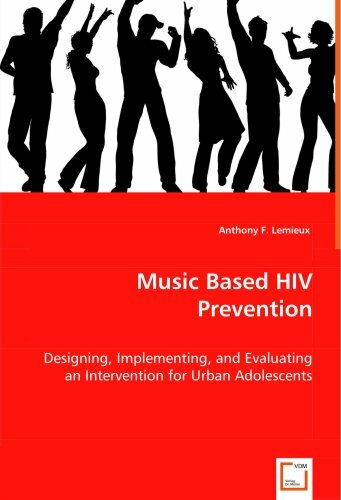 Music based HIV prevention: Designing, implementing, and evaluating an intervention for urban adolescents. Berlin: VDM Verlag. Chaffin, R., Imreh, G., Lemieux, A. F., & Armitage, C. (2003). “Seeing the big picture”: Piano practice as expert problem solving. Music Perception, 20, 465-490. Chaffin, R., Lemieux, A. F., & Chen, C. (2007). It’s different each time I play: Variability in highly prepared musical performance. Music Perception, 24, 455-472. Fisher, J.D., Amico, K. R., Fisher, W. A., Cornman, D.H, Shuper, P. A., Trayling, C., Redding, C., Barta, W. Lemieux, A. F., Altice, F., Dieckhaus, K., Friedland, G. for the Life Windows Team. (in press). Computer- Based Intervention in Clinical Care Setting Improves Antiretroviral Adherence: The LifeWindows Project. AIDS & Behavior. Fitzgerald, J., & Lemieux, A. F. (in press). Pedagogy in a blended-learning environment: The utility of discussion forums and wiki group projects. C-SAP: Higher Education Academy Subject Network for Sociology, Anthropology, Politics. Hegarty, P., Lemieux, A. F., & McQueen, G. M. (2010). Graphing the order of the sexes: Androcentrism in the construction and recall of gender difference graphs. Journal of Personality and Social Psychology, 98, 375-401. Hegarty, P., Pratto, F., & Lemieux, A. F. (2004). Heterosexist ambivalence and heterocentric norms: Drinking in intergroup discomfort. Group Processes and Intergroup Relations, 7, 119-130. Lemieux, A. F. (2006). Social psychological approaches to understanding and preventing terrorism: Toward an interdisciplinary perspective. Journal of Security Education, 1, 75-84. Lemieux, A. F., Fisher J. D., & Pratto, F. (2008). A music-based HIV prevention intervention for urban adolescents. Health Psychology, 27, 349-357. Pratto, F., & Lemieux, A. F. (2001). The psychological ambiguity of immigration and its implications for promoting immigration policy. Journal of Social Issues, 57, 413-430. Pratto, F., Lemieux, A. F., Glasford, D. E., & Henry, P. J. (2003). American and Lebanese college students' responses to the events of September 11, 2001: The relation of hopes and fears to the psychology of group positions. Psicologíca Politíca, 27, 13-35. Alcorn, L. M*., & Lemieux, A. F. (2010). The effect of sexually explicit rap music on sexual attitudes, norms, and behaviors. 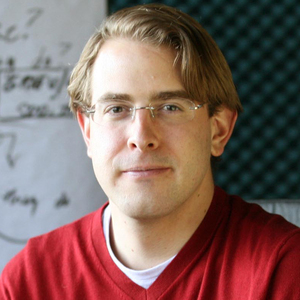 In Music: Composition, Interpretation, and Effects. Nova Science Publishers: Hauppauge, New York. (*notes: undergraduate student as first author; cross-published in the International Journal of Psychology Research). Asal, V. H., Lemieux, A. F., & Wilkenfeld, J. (2008). An experimental investigation of the choice of terror and support for taking action. National Consortium for the Study of Terrorism and Responses to Terrorism (START) Research Brief. Chaffin, R., & Lemieux, A. F. (2004). General perspectives on achieving musical excellence. In A. Williamon (Ed. ), Musical excellence: Strategies and techniques to enhance performance (pp. 19-39). Oxford: Oxford University Press. Chaffin, R., Lemieux, A. F., & Chen, C. (2006). Spontaneity and creativity in highly practiced performance. In I. Deliege & G. A. Wiggins (Eds. ), Musical creativity: Multidisciplinary research in theory and practice (pp. 200- 218). New York: Psychology Press, Taylor and Francis Group. Hegarty, P., & Lemieux, A. F. (in press). Drawing gender into graphs of group differences. In A. Maass & T. Schubert (Eds. ), Spatial aspects of social thought. Mouton de Gruyter. Lemieux, A. F. (in press). The role and impact of music in promoting (and countering) violent extremism. In L. Fenstermacher (Ed. ), Countering violent extremism (Interagency White Paper). 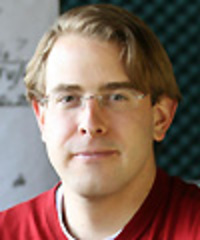 Lemieux, A. F. (2010). Root causes of terrorism: Psychological factors, individual factors, and triggers. In L. Fenstermacher (Ed. ), Protecting the homeland from international and domestic terrorism threats: Current multi-disciplinary perspectives on root causes, the role of ideology, and programs for counter-radicalization and disengagement. U. S. Government Interagency White Paper. Lemieux, A. F., & Boyle, M. (in press). Terrorism. Encyclopedia of human behavior (2nd ed.). Elsevier. Lemieux, A. F., & Pratto, F. (2003). Poverty and prejudice. In S. Carr & T. Sloan (Eds. ), Poverty and psychology: From global perspective to local practice (pp. 147-162). New York: Springer.